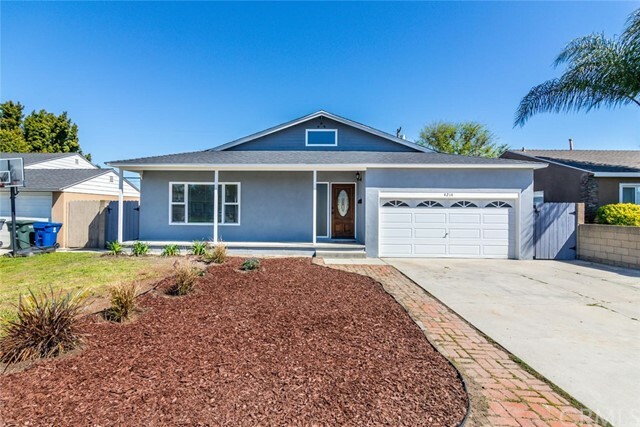 All Lakewood City homes currently listed for sale in Long Beach as of 04/21/2019 are shown below. You can change the search criteria at any time by pressing the 'Change Search' button below. "Pride of HOME OWNERSHIP!!! 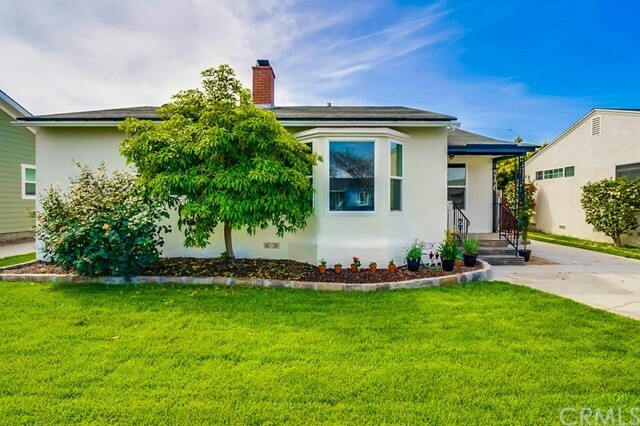 We are pleased to present this tastefully upgraded 3 bed/2 bath house (originally 4 bed/2 baths, 1st floor 2 beds have been converted to a master without a permit) is ideally situated on a quiet, tree-lined street in the family-friendly neighborhood. Enjoy the evening breeze on the charming front porch, or take a relaxing dip in the pool and jacuzzi in the backyard. The downstairs consists of a Master Bedroom with a custom walk-in closet, an adjacent bathroom with brilliant Carrara marble throughout and custom cabinetry, a front living room with a wood-burning fireplace that opens up to a spacious and recently renovated kitchen with granite countertops, stainless steel appliances, and beautiful oak cabinets, finally leading to a dining room with a view to the backyard and pool. The 2 bedrooms upstairs share a Jack-and-Jill closet and bathroom and are both carpeted with stain-resistant carpeting. Additional amenities include original hardwood throughout the first floor, a 2-car garage with tons of shelving, built-in tables, and a washer/dryer, RV-sized driveway, outdoor bbq grill with smoker, a brand-new pool/jacuzzi heater, a fun, multi-colored pool/jacuzzi underwater lights, and new ducts and insulation on the first floor. The house is less than 5 min. drive to the 405 Fwy, and only blocks away from 2 parks, Long Beach City College, and the hip, new The Hangar @LBX shopping plaza." "JUST REDUCED FOR A QUICK SALE! Newly Remodeled 3 bedroom, 2 baths home with a new Stone Mantel fireplace in the large family/den room. Track location of the Old Lakewood City neighborhood of Long Beach. New Laminte floors throughout the house. Both Bathrooms were newly remodeled with New Tile floors. Includes Central AC and heat. Wall to Wall closet in the master bedroom. The kitchen was partially remodeled with new Granite counter tops, wall to wall pantry in the kitchen. This home includes brand new appliances. Refrigerator, Stove, and Dishwasher. the formal dining room combines with the large living room. Great curb appeal, Nice concrete, and brickwork, in front of the house. The back yard is great for entertaining with a pond/waterfall. Double car garage with a large driveway for plenty of cars." 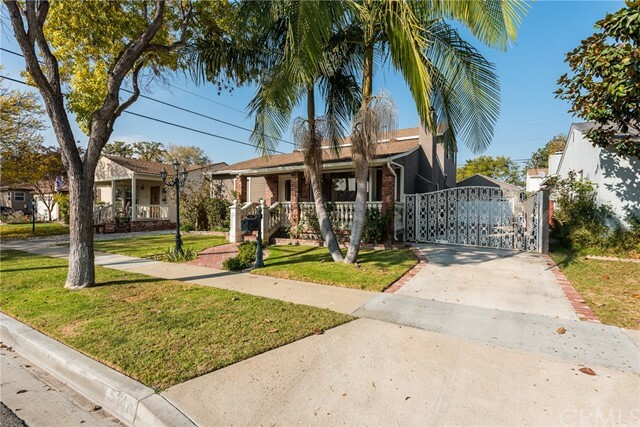 "This charming 3 bedroom, 1.75 bath Long Beach home boasts tons of curb appeal with its beautifully landscaped yard and welcoming front porch. Enter the home into the large living room with original hardwood floors and wood fireplace all open to the dining area and a sunny kitchen. A central hallway with tons of built in storage connects the two guest bedrooms at the front of the house and the guest bath as well as the inside laundry closet. The master suite is at the back of the home with its private bathroom complete with separate tub and shower. Master also features a walk in closet and a glass slider that open up into the oasis backyard. Lush landscaping a wooden pergola and koi pond complete the backyard. The Large driveway can accommodate RV or boat parking and leads to the spacious two car garage. A little paint and some updating will make this home truly spectacular.. MUST SEE!" 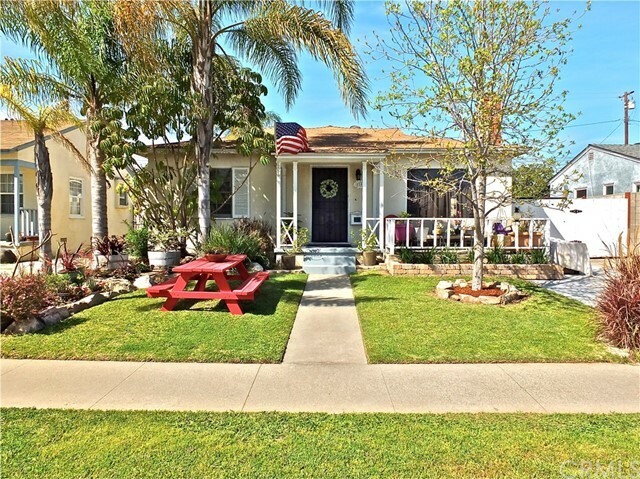 "A charming front porch welcomes you to this 3 Bedroom home located on a quiet, tree lined street in a wonderful neighborhood. Awesome opportunity to own a great starter home!! 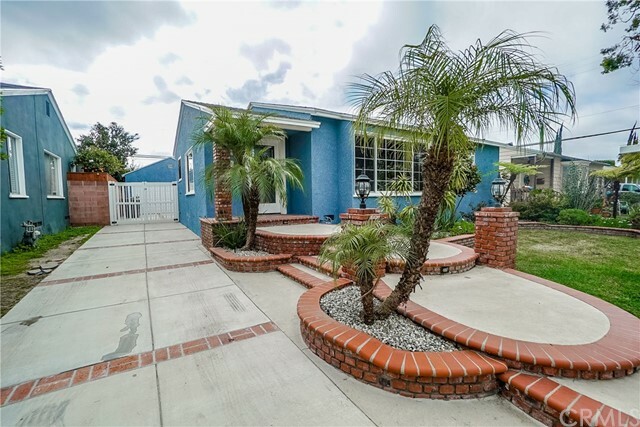 This home has great curb appeal, with its freshly painted exterior and new landscaping in both, front & back yards. As you enter the front door, you re greeted with gorgeous hardwood floors, a fireplace in the living room and a separate dining area. The galley kitchen is light and bright with white tile countertops and beautiful blue lower cabinets. A sizable bathroom is centrally located to all the generous sized bedrooms and living room area. Large back bedroom has new sliding glass doors that open onto a spacious deck overlooking the entire backyard. Upgrades include Central Air & Heat, new windows and doors. Inside laundry. Additional parking available on extra-long side drive that leads to rear detached garage. Located 5 minutes away from the new Long Beach Exchange with multiple shopping & dining options."